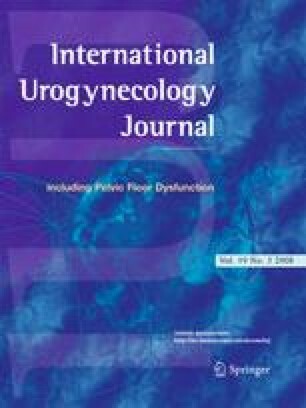 In this article, the effects of pregnancy and delivery on the development of stress urinary incontinence are described with special emphasis on the obstetrical management in women who wish to become pregnant or are pregnant after a preceding mid-urethral sling procedure. Three case histories and a review of literature are presented. Pregnancy after a preceding incontinence operation is rare and makes it quite difficult to formulate guidelines about delivery when a pregnancy occurs. The best advice is to postpone incontinence surgery until after the last pregnancy. There is evidence that an elective caesarean delivery protects against stress urinary incontinence in case of pregnancy after bladder neck suspension. For mid-urethral sling procedures, this evidence is not available. The presented case reports do not clearly demonstrate that caesarean delivery is necessary in case of pregnancy and delivery after a mid-urethral sling procedure. Furthermore, a second mid-urethral sling operation is a minor procedure compared to a caesarean section, and there is evidence that a second mid-urethral sling operation has the same success rate as the first procedure. We thank Dr Dorette Courtar of University Hospital Maastricht for the synopsis of pregnancy and labor of the third patient.